New York, NY (February 12, 2007) – A four-panel American newspaper comic strip is the unique form chosen to depict the story of Munich’s Jewish community for a permanent exhibition in the city’s brand-new and first Jewish Museum, scheduled to open on March 22, 2007. Veteran comic book artist, Jordan B. Gorfinkel, creator of Everything’s Relative – a comic strip that has been featured in Jewish newspapers around the world for the past ten years – has been chosen to create the innovative and edgy artwork. His specially commissioned comic strip panels will be the major permanent exhibition that is planned to introduce visitors to the MJM. As an American Jew, Gorfinkel brings a unique perspective to the role of observer, social commentator and artist of the mid-twentieth century German Jewish experience. 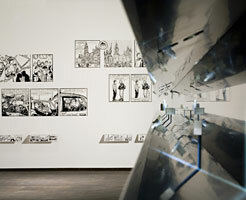 The utilization of the classic, American four-panel newspaper humor strip within the context of an exhibition on contemporary Jewish life in this German city is highly innovative. The opening of this new museum in Germany’s “other city” is the culmination of a process that began in 1928 and was cruelly derailed by the rise of Hitler and the Nazi party. Over 4,000 Munich Jews perished during the Holocaust and the proximity of the infamous death camp, Dachau, to Munich is a constant reminder of the horrors inflicted by the Nazis. The Nazis sought to erect museums to the “extinct Jewish race,” yet the creation of the new Munich Jewish Museum celebrates Jewish survival. The symbolic value of the resurgence of Jewish life in the very city where the SS came to power is extraordinary. Today, Munich is the proud home of the second largest Jewish community in Germany (currently numbering 9,200), next to Berlin. “Opening an exhibition on the history of the Jews is something that Hitler had planned as well, to be able to celebrate their extinction. But the exhibition on these walls tells another story. It defies the world to take notice of the return of Judaism to the streets of Munich in fulfillment of the prophetic promise, ‘The eternity of Israel shall never be forsaken,’” stated Rabbi Marvin Hier, founder and dean of the Simon Wiesenthal Center. Within the last couple of decades, cartoon art has been elevated to the level of high culture. The popularity of Japanese anime and graphic novels are a global phenomenon. Last year’s violent response by the radical Muslim community to the Danish cartoons satirizing Mohammed underscores the power of cartoons as important vehicles for political and artistic expression. 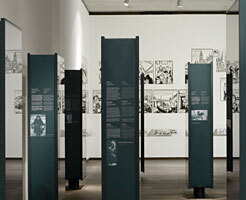 Within the United States, artists such as Art Spiegelman (Maus) and Joe Kubert (Fax from Sarajevo) have pioneered the telling of Shoah stories through this medium, seizing hold of the American comic strip as an effective, if counterintuitive, vehicle for serious, even tragic stories. Jordan B. Gorfinkel’s Everything’s Relative is a rightful heir to this tradition...yet he pushes the envelope by presenting this narrative through a gently humorous lens. “It is a great honor – but also, a tremendous responsibility – to be entrusted with portraying one of the most central and important narratives in contemporary Jewish history in cartoon form,” said Mr. Gorfinkel. 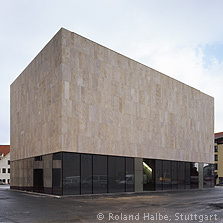 The bold and forward-thinking nature of the exhibition – indeed, the construction of the larger Jewish community complex at St. Jakobs-Platz, #16 – is noteworthy, shedding light on the social and political state of Germany in 2007. A book collection of Everything’s Relative is currently in the works. 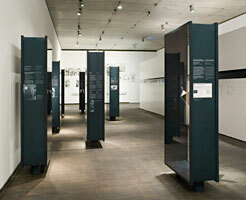 A gala opening for the Munich Jewish Museum is being planned for March 22nd. For further information about the MJM, please visit www.juedisches-museum-muenchen.de. Artist Jordan Gorfinkel is currently accepting requests for interviews. Samples of his work can be viewed at www.jewishcartoon.com. To request an interview with Mr. Gorfinkel, receive additional information about Everything’s Relative premiering at the MJM or learn more about the opening of the MJM, please contact Shira Dicker at 212.663.4643 or 917.403.3989 or at shira.dicker@sd-media.com.